Peyton Manning just spent 7 hours at the Titans facility, and team owner Bud Adams thinks Tennessee has a great shot at landing the future Hall of Fame quarterback. I couldn’t agree more. Not because Adams offered Manning a “contract for life,” or because Manning already has a history inspiring Titans, but because of the team’s current head coach, Mike Munchak and golf. Last year, Shannon Furman—a coworker and friend from NFL Films—and I participated in the annual Mike Munchak Charity Golf Classic for the United Way of Lackawanna and Wayne Counties. It was a great time even though I played one of my worst games ever—then again, I’m not very good to begin with! At the golf classic, there’s a silent auction and dinner that follows. She remembered the memorabilia being auctioned off as your typical Titans autographs—Munchak and Chris Johnson signed footballs and helmets—as well as Penn State autographs (Munchak is an alum). 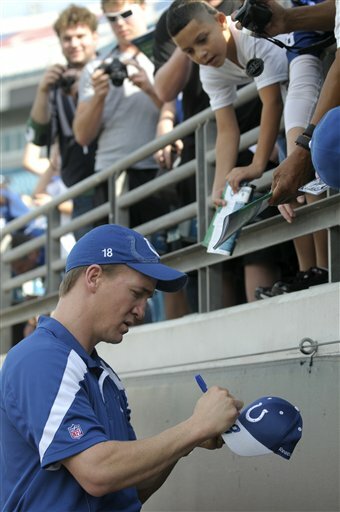 But she found it odd that there were random Peyton Manning autographs. One can only assume a connection between Munchak and Manning. Why just Peyton Manning? Why aren’t there Eli Manning autographs? Or, if you want to talk about elite quarterbacks, why aren’t there Tom Brady autographs? Of course this is speculation, and both of us could just be reading into the situation. 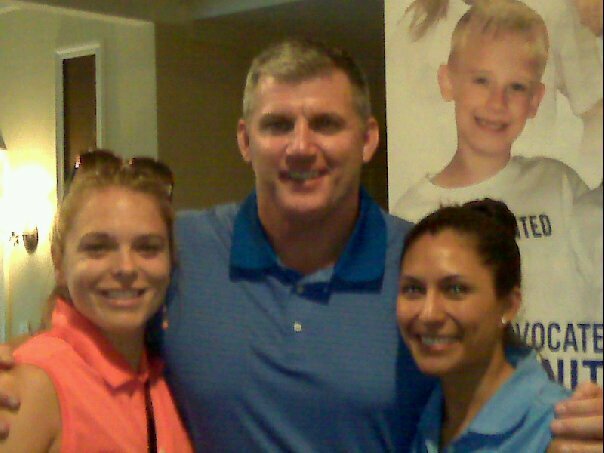 And from what we’ve heard in the media, Munchak is an amazing salesman. But the personal connection between coach and player might just sway Peyton to become a Titan.